As with all Boys vs. Beast books another battle is looming! A wall is the only thing that separates earth from Beastium and Kai Masters Border Guard and beast battler must decide which border guards can help him battle the mutants. These beasts are new and he has to build a team and protect Earth at any cost. 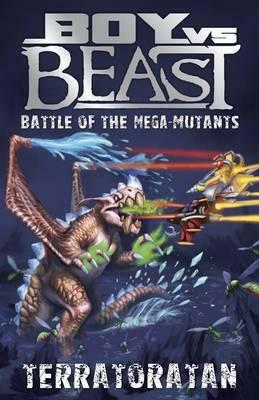 Battle of the Mega-Mutants Terratoratan’ is full on! Fast paced, racy and no doubt will be a hit with boy readers. The text is simple and the sentences are not complex enabling even the most reluctant reader to be taken on a journey they won’t forget. This is a fun book with detailed black and white pictures throughout and it is number 15 in the series! Would make a great gift for young boys, I highly recommend this book.